<?xml:namespace prefix = o ns = "urn:schemas-microsoft-com:office:office" />Max width:1300mm,the length is in sheet or in roll. 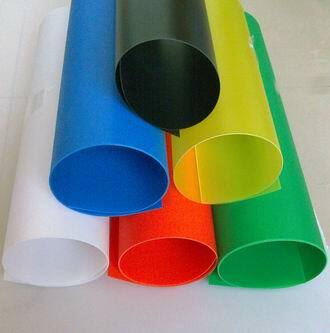 We produce pp film, matte &smooth finish surface ,natural,transparent color and other colorized. PP sheet's Application: vacuum forming, packing, food, printing industry, paper file, loose-leaf notebook cover.